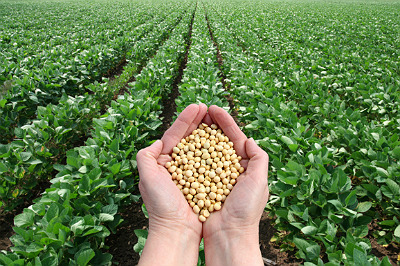 In the 1930s, Henry Ford used approximately 60 pounds of soybeans in his Model T.
Sustainability is a megatrend driving innovations in automotive plastics with bio-based plastics gaining increased acceptance in the automotive industry. The Ford Motor Company is at the forefront of this trend, touting numerous renewable products in its vehicles. In fact, Ford's interest in bioplastics goes all the way back to the company's early days. In the 1930s, Henry Ford used approximately 60 pounds of soybeans in his Model T. Ford had a considerable interest in soybeans, and he even established a soy lab in Dearborn, Mich., in 1929. At the 1934 Chicago World's Fair called "A Century of Progress," the Ford exhibit featured an extensive presentation on the potential of soybeans. Plant-based plastics were used to make glove box doors, gear shift knobs, horn buttons, accelerator pedals, distributor heads, interior trim, steering wheels, timing gears, dashboards and body panels. A number of other small parts for the Ford car were eventually made of soybean-derived material. 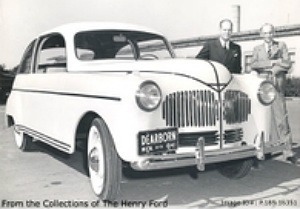 A look at Henry Ford’s 1941 "biological" car. Ford also used fibers from hemp, wood pulp, cotton, flax and ramie as plastic fillers and reinforcement materials. Ford's 1941 biological car — made of soybean, wheat, hemp, flax and ramie fibers in a soy-based phenolic resin — weighed 1,000 pounds less than a steel car. It seemed biological materials were poised to take off. But in the 1950s, the modern thermoplastics age dawned. Thermoset bioplastics were replaced by petroleum-based products because they were cheaper and better performing. Now let's fast forward 60 years into the future to take a look at some of Ford's current bioplastics efforts. While automotive applications account for approximately 3 percent of the total volume consumption in the biopolymers market, automakers are continuing their push into more use of natural fibers and bioresins for car parts. Automakers are conducting their own research into bio-based plastics applications, and are also looking to build on research from other plastics end-use industries such as packaging and consumer products. Automakers are particularly interested in seeing how traditional plastics will develop from nontraditional sources (i.e., bio-derived nylon, polypropylene, polyester etc.). The expectation is that these materials hold out the promise of a less expensive, stable source of raw materials relative to petroleum-based products while yielding products familiar to the end user. Both Ford and Toyota in the 21st century have been touting their use of renewable products in their vehicles. Soybean oil and rubber recycled from tires are being used to create environmentally-friendly gaskets and seals. 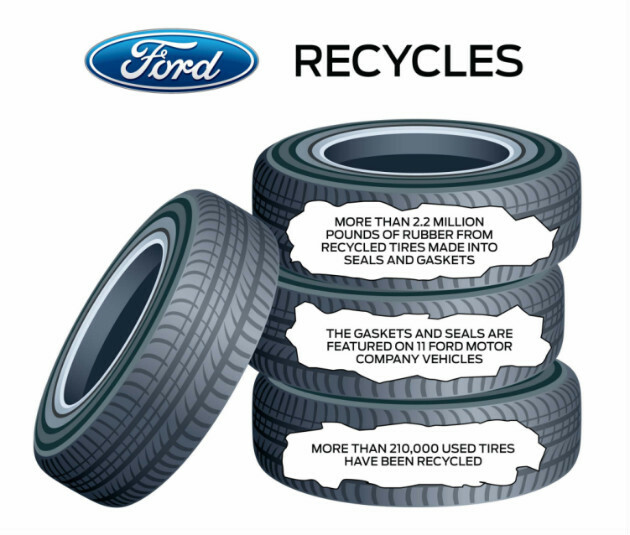 Ford and Recycled Polymeric Materials (RPM) Inc. have partnered to produce these sustainable products. The gaskets/seals are derived from 25 percent post-consumer recycled tire rubber particulate and 17 percent bio-renewable content from soy. More than 2.2 million pounds of rubber from approximately 210,000 recycled tires together with 150,000 pounds of soy have been used to make the gasket and seal material. First introduced in 2008, the gaskets and seals are now featured on 11 2011-model-year forward Ford vehicles including the Escape, Mustang, Focus and Fiesta. Overcoming performance and durability issues of neat PLA with nucleating agents, impact modifiers and moisture inhibitors. Evaluating the processability and performance of renewably sourced nylons — high-performance grades derived from castor oil (nylon 1010, 11, 610 and 410). Exploring the emerging arena of traditional polymers — polypropylene (PP), polyethylene (PE), polyethylene terephthalate (PET), polybutylene terephthalate (PBT) — made from renewable resources. 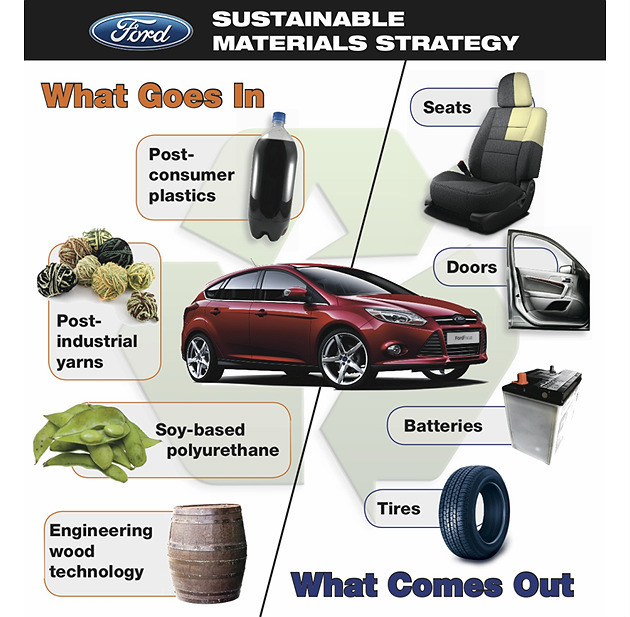 Examples of current Ford bioplastics applications are soy foam seat cushions, wheat straw-filled plastic, recycled resins for underbody systems, recycled yarns on seat covers and natural-fiber plastic for interior components. The company is also using material derived from recycled carpet to make cylinder head covers. 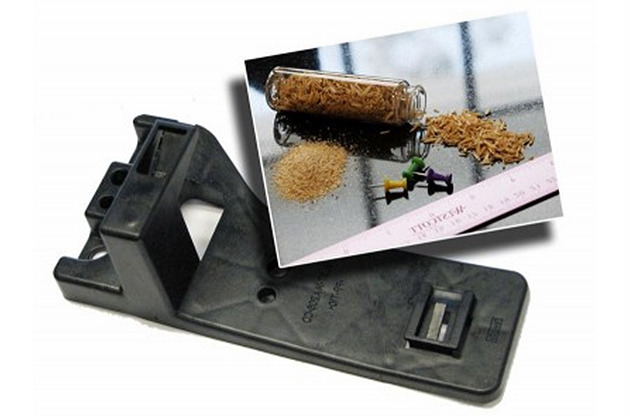 Recently, Ford has developed rice hulls (a byproduct of rice grain) to replace talc in truck electric cowl bracket. Also, Ford is using plastic reinforced with rice hulls in an electric harness in the 2014 F-150. Rice hulls replace a talc-based reinforcement in a PP composite made by RheTech. The company will need at least 45,000 pounds of hulls in the first year. The part was previously made with 10 percent talc-filled PP. Engineers at Ford in conjunction with RheTech conducted extensive testing of the rice hull material examining everything from smell and appearance to functionality and flammability. Rice hull use does not affect component weight or cost. Rice hulls offer several advantages over other natural fibers such as kenaf and wood, including low moisture absorption and the lowest probability to require tool modifications. Rice hulls are readily available, consistent in composition and have a fast growing cycle. Ford is also studying the use of rice hulls as reinforcement material for use in other Ford vehicles as well as other automotive applications. Rice hull reinforced electric cowl bracket. But Ford is certainly not alone. Many auto companies are pushing to develop "green" cars using carbon-neutral bioplastic materials derived from plants. Toyota began using bioplastics for auto parts, namely thermoplastic PLA, polylactic acid floor mats and a spare-tire cover, in the 2003-04 Raum. The company is committed to increase the use of plant-derived, carbon-neutral plastics in more vehicle models, starting with their recent hybrid models. Toyota's newly developed bioplastics, collectively known as "ecological plastic," are to be used in scuff plates, headliners, seat cushions and other interior vehicle parts. Toyota's 2010 forward Lexus HS 250h hybrid makes extensive use of bioplastic material for parts of the interior and trunk. The new Lexus HS 250h uses bioplastics for interior components including luggage-trim upholstery, cowl-side trim, door scuff plate, tool box area, floor finish plate, seat cushions and the package tray behind rear seats. Approximately, 30 percent of interior and trunk area will be covered with ecological plastics. Mazda launched its "bioplastic project" to develop green PP from nonfood-based biomass such as plant waste or wood shavings for use in vehicles starting in 2013. PSA Peugeot Citroen is maintaining a target to include 20 percent green materials in polymers used to build its cars by 2014. "Green materials" include natural fibers such as linen and hemp, nonmetallic recycled materials and biomaterials produced using renewable resources. The aim is to use fewer fossil fuel plastics, increase use of materials from renewable sources to make parts lighter and/or reduce CO2 emissions from plastics production, and promote plastics recycling. A car is typically made up of 70 percent metal, already largely recycled, 5 percent miscellaneous materials (glass, etc.) and 5 percent fluids, with the remaining 20 percent being various polymer materials. In Canada, major global auto parts suppliers have joined agricultural, forestry and chemical organizations to create the Ontario BioAuto Council. The organization's goal is to become a global leader in the use of renewable biomaterials. The Council is a unique organization that brings together all the major stakeholders in the bio-based supply chain from renewable raw material producers such as corn, soybean farmers and pulp mill owners to automotive assemblers like Ford and Chrysler. The Council links these stakeholders to leading sources of research/innovation including Auto21, a national network of centers of excellence for automotive innovation, Canada's National Research Council and others.